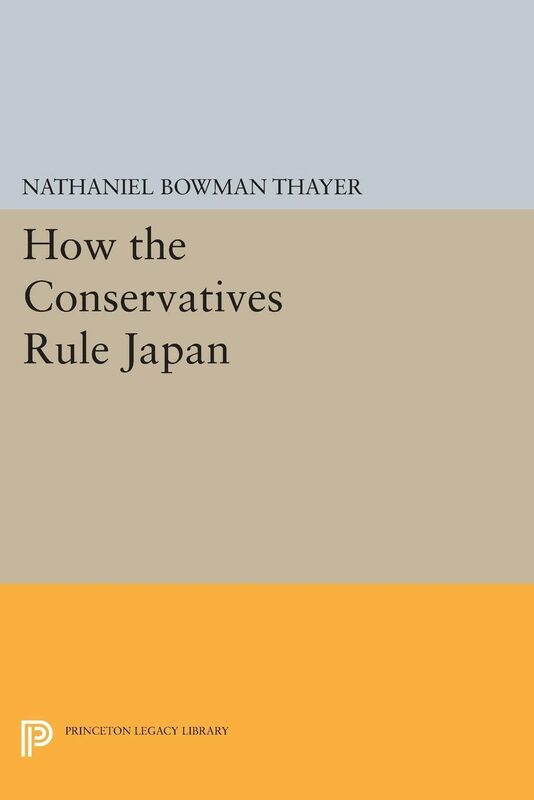 Dr. Thayer, who was American press attach&#233; in Tokyo from 1962 to 1965, presents a detailed account of conservative politics in Japan. Although he makes some historical comparisons, Dr. Thayer's main focus is on the contemporary workings of the Liberal Democratic Party, the ruling party in Japan. He identifies the political elements: the men are the Dietmen, the bureaucrats, the businessmen, the regional politicians, and the people; the institutions are the factions, the regional organizations of the Dietmen, the economic community and the various party organs. He shows how these elements work: how the Prime Minister is elected, how the cabinet is chosen, how party and government posts are filled, how policy is made, how a political decision is reached, and how the party is run.Contents: I. Introduction. ; II. The Factions. ; III. The Economic Community. ; IV. The Party, the Prefectures, and the People. ; V. The Elections. ; VI. Choosing the President. ; VII. Making a Cabinet. ; VIII. Formulating Policy. ; IX. Reaching a Decision. ; X. Running the Party. ; XI. Conclusions. ; Index.Originally published in 1969.The Princeton Legacy Library uses the latest print-on-demand technology to again make available previously out-of-print books from the distinguished backlist of Princeton University Press. These paperback editions preserve the original texts of these important books while presenting them in durable paperback editions. The goal of the Princeton Legacy Library is to vastly increase access to the rich scholarly heritage found in the thousands of books published by Princeton University Press since its founding in 1905.